LATE REGISTRATION IS AVAILABLE ONLY AT PACKET PICKUP ON THURSDAY FROM 3-7PM AND FRIDAY FROM 11AM-7PM AT 401 M ST SW. Click here for Packet Pickup details. The third annual DC Bike Ride will take place on Saturday, May 19, 2018. DC Bike Ride is the DC region's only closed-road, car-free, recreational bike ride for all ages (three and up) and all riding abilities. 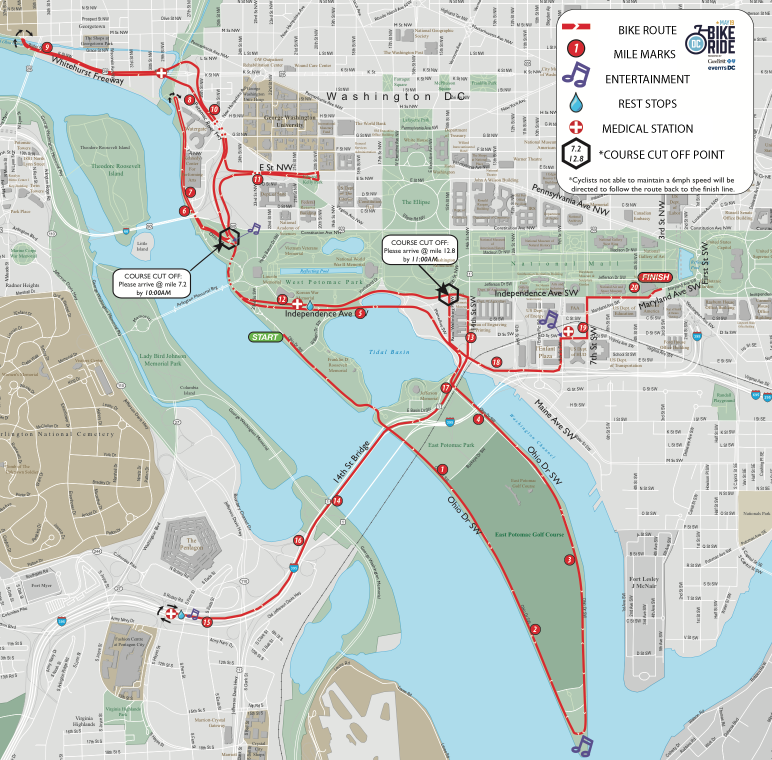 Celebrate life on two wheels as you ride 20 miles through our nation's capital completely car-free, ending in style with a Finish Festival in front of the U.S. Capitol with live entertainment, an incredible line-up of food trucks and family-friendly activities. Click here for more information. DC Bike Ride will take place rain or shine. If you have questions, please email hello@dcbikeride.com.